Wiilpa is a social innovation project using the arts and culture as a holding space for beauty, opening awareness and creating understanding. We create performances, forums, programs, cultural, wellness, self development and community development events that provide a holding place and tools that open perception, beyond fear and scarcity, towards personal authenticity and a society that values awareness, respect, the natural world and that enables "thrive-ability". 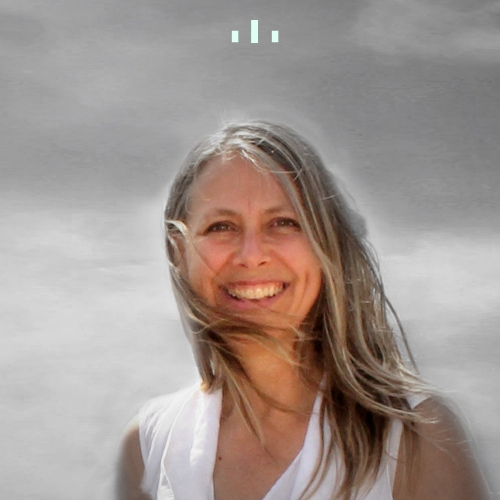 Wiilpa’s mission is to enable a way for individuals and organizations to see large scale issues holistically, perceiving everything as interconnected and working in a fine balance as we would with a viewpoint from the stars. Our goal is to create an aware and collaborative environment for the co-creation of goals that can be much more effectively and harmoniously achieved together, rather than through siloed initiatives. With due weight given to what we truly value, we seek to ensure there is not a "disconnect" between our values and the way things are measured and therefore enabled in the world. We welcome a future where “power over” is no longer the dominant force and “power with” with mutual circles of benefit becomes the way we live and operate. (v) Wellness, nature and music trails. The Remembering events are an invitation to all people to go on a journey of discovery, empowering people to realize they have a voice and that they can take steps to a broader, accepting being place from which to reflect and direct their life. Self discovery can lead to a collaborative space where people can play their unique part in the larger scale issues the world currently faces. Redefining goals through a truly respectful and inclusive picture, we are well placed to identify where we wish to travel personally and collectively and what gaps we have within our own understanding. Merging diverse perspectives with practical applications for this new awareness we can move towards a thriving place for all people and the planet itself. We have so much wisdom in this ancient country of Australia...including the wisdom that each of us holds. Yet it is often unheard and unseen. In remembering our roots, both those of this land, and those of us who bring our own remembering we have the opportunity to connect with the emerging story of our individual and collective lives with respect for different perspectives and awareness of context. The Remembering is a story that unites, sustains and ultimately supports the thriving of each of us and this great Southern land so we and what we value are more fully seen and can then share this with the world. As the project extends, we will invite and forge connections with other like minded individuals and organizations nationally and globally so we can all collectively act together as stewards of this amazing planet we are all so blessed to inhabit. The Remembering events bring people together for reflection, conversation and experiences about how we came to be who we are now, and who and how we would like to be in the future. The intention is to build momentum and to move into action for the benefit of the next generations. We ask the question: How can we build beyond sustaining the planet to thriving with benefits to our individual and collective well being? What would it take? (at a personal, group, global and systems level). The Remembering will manifest as a variety of different events. These events will be supported by different tools and technologies to help bring the community together and empower action that enables a more interconnected, holistic, balanced and thriving future. Open your senses to the elements in this specially curated native garden setting with singer/innovator Karen Knowles and sound healer/musician Adam Rankin. Welcome to country by Ian Hunter and native garden tour by horticulturist / educator Karen Sutherland. Spaces are limited so book early! Held at Edible Eden Design, Pascoe Vale South as part of the National Sustainable Living Festival 2017 on Saturday 11th February 2017 at 3-5 pm. Pricing: $45 + GST (& credit card charges) for early bird and standard tickets $50 + GST (& credit card charges).